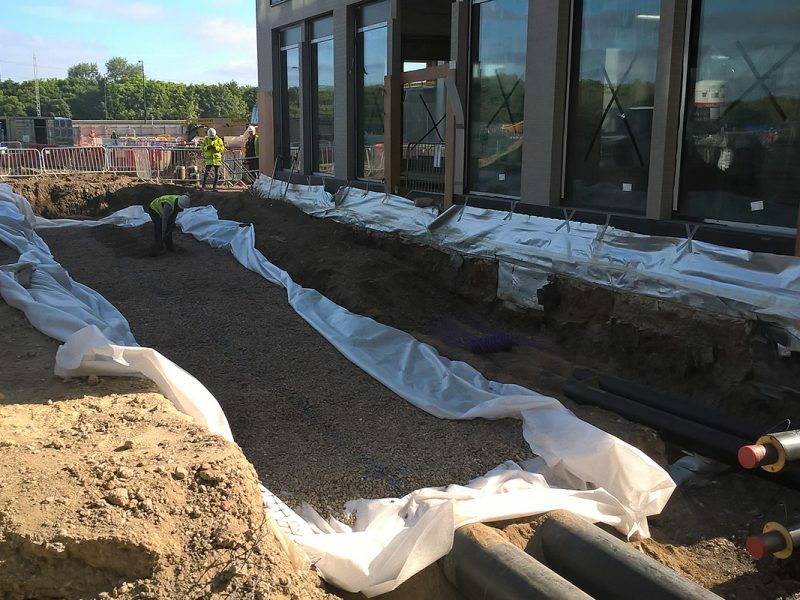 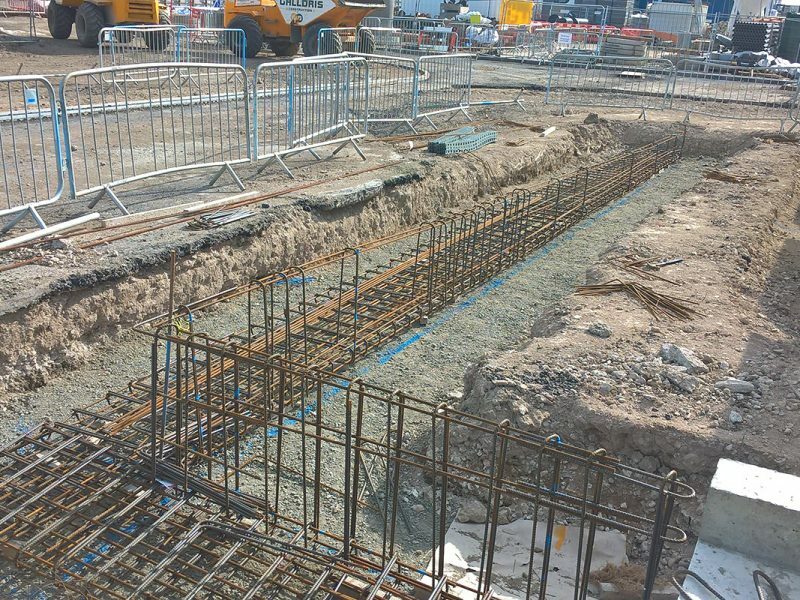 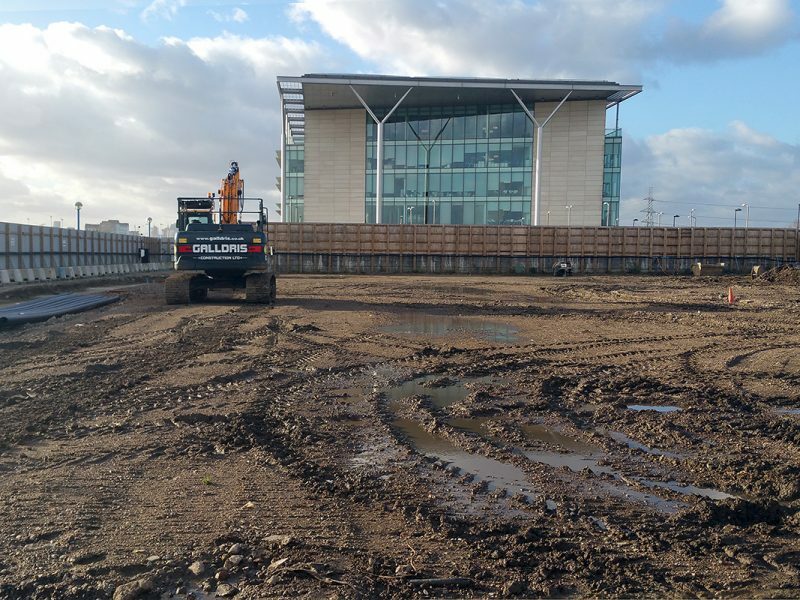 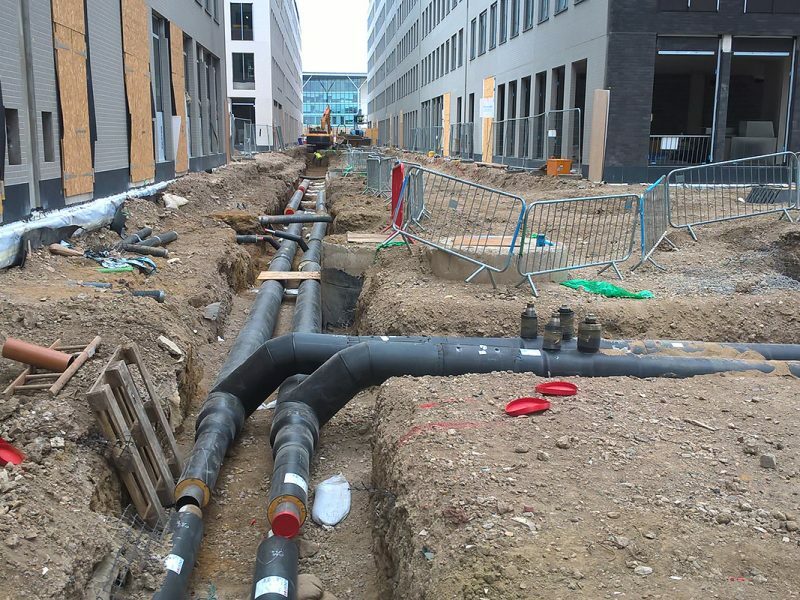 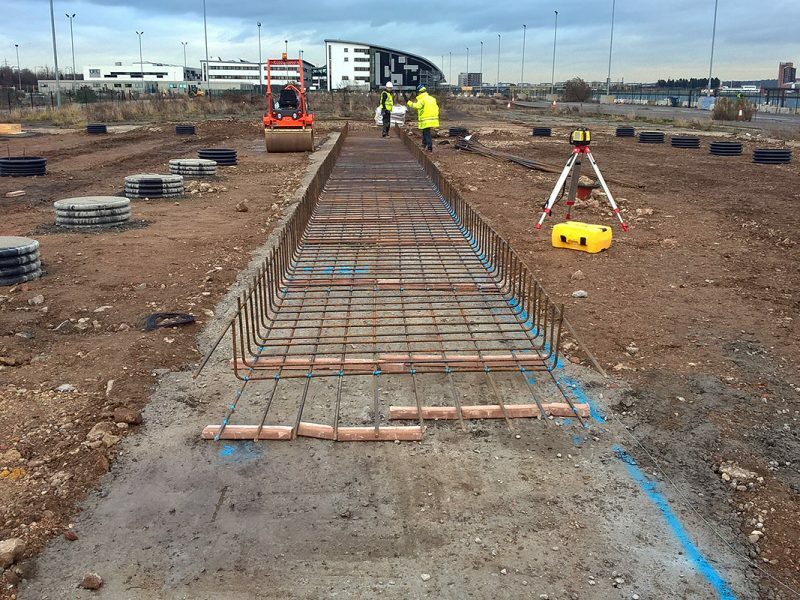 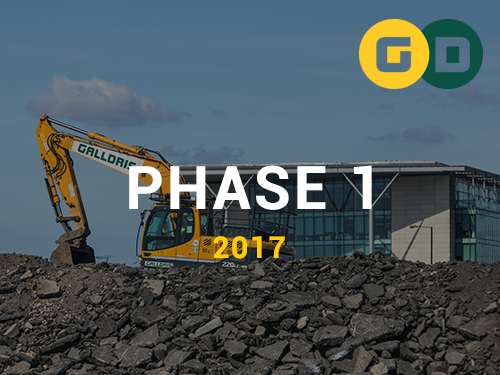 This was the first phase of infrastructure and enabling works, and a contract to build around 700,000 sq ft of office and retail space. 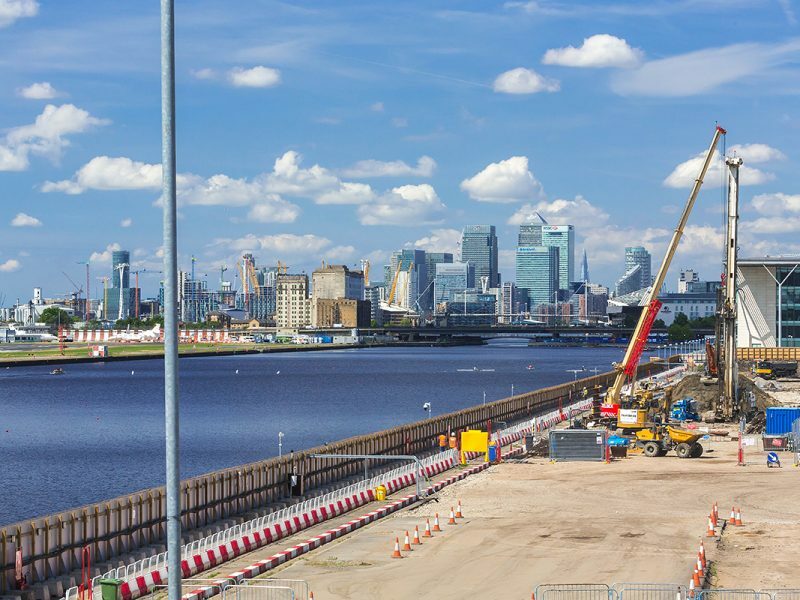 It was being promoted as London’s third business and financial district after the City of London and Canary Wharf. 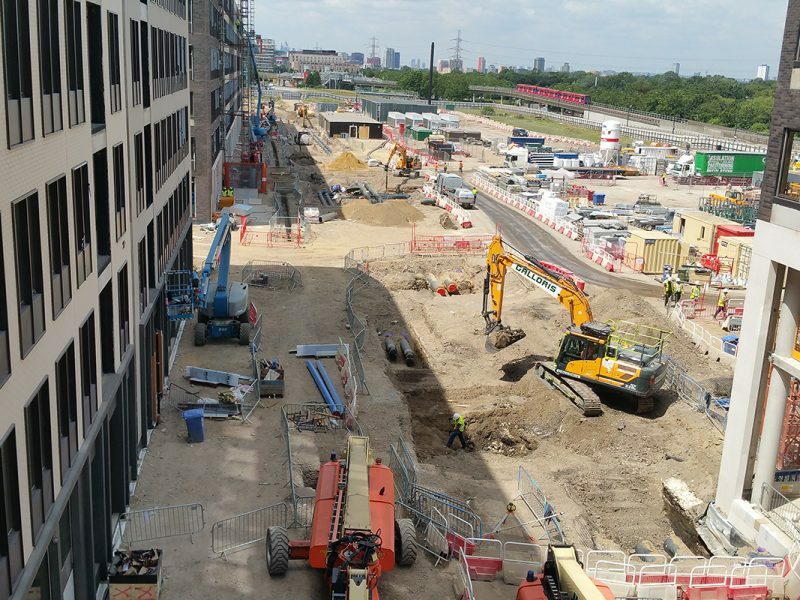 The 4.7m sq ft docklands scheme next to London’s City Airport comprises mainly offices but with residential, retail and public realm. 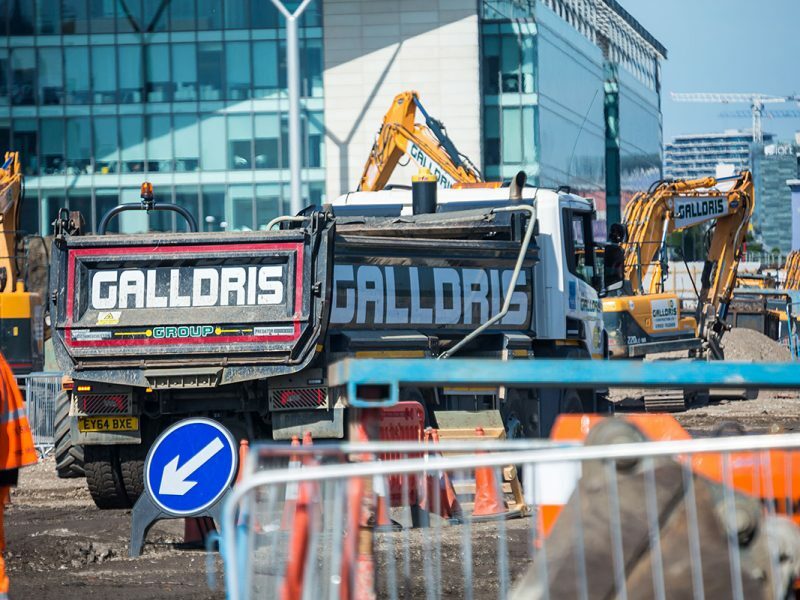 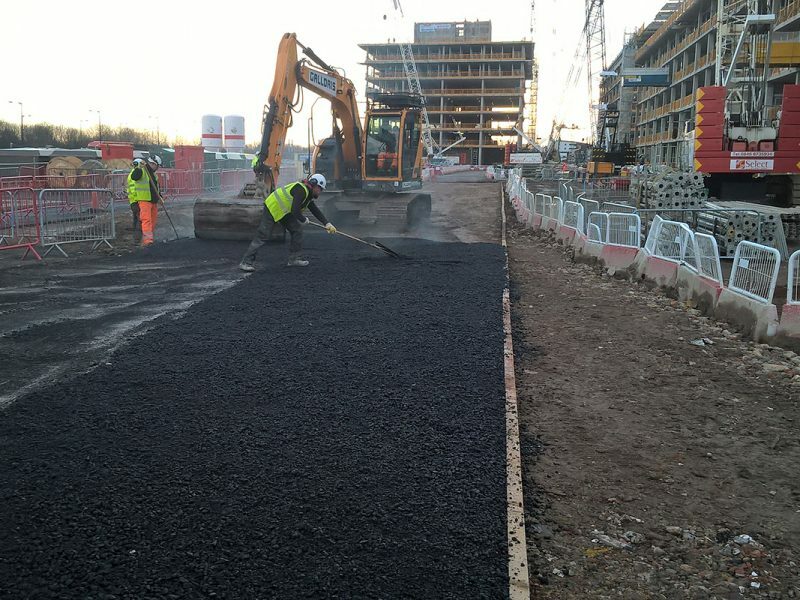 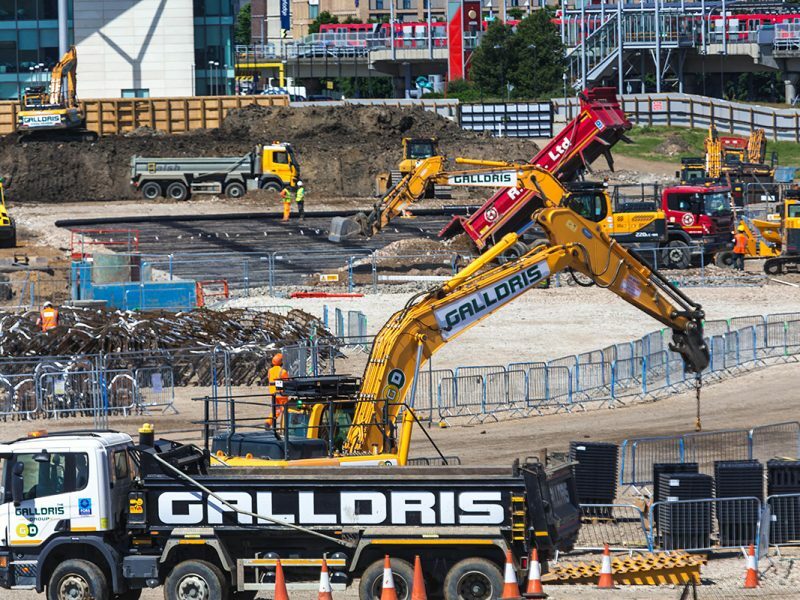 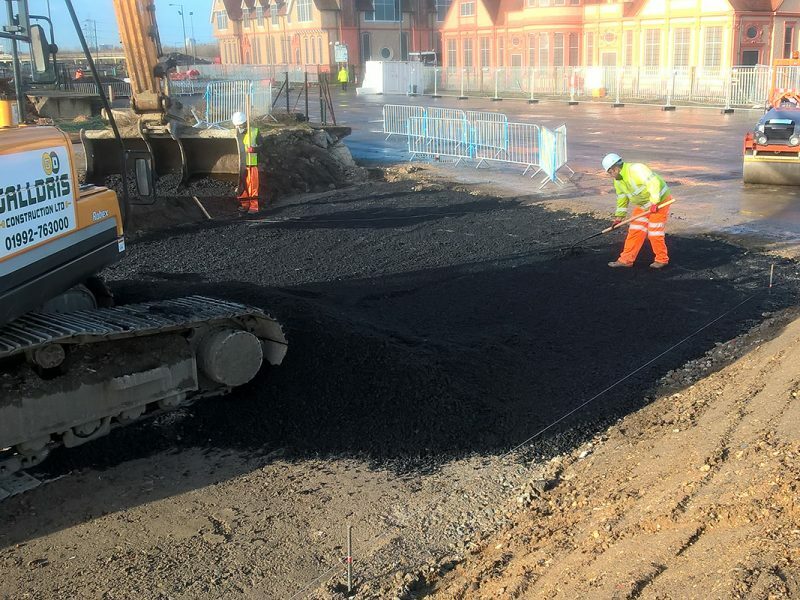 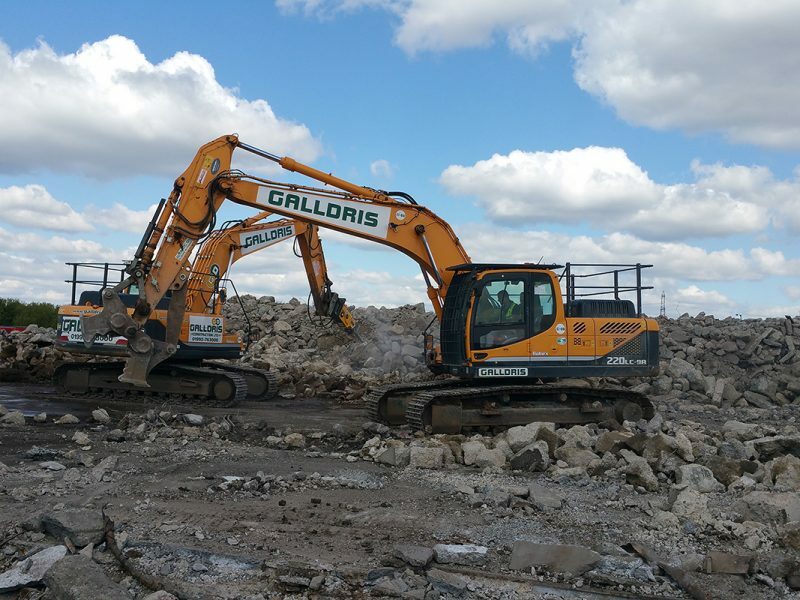 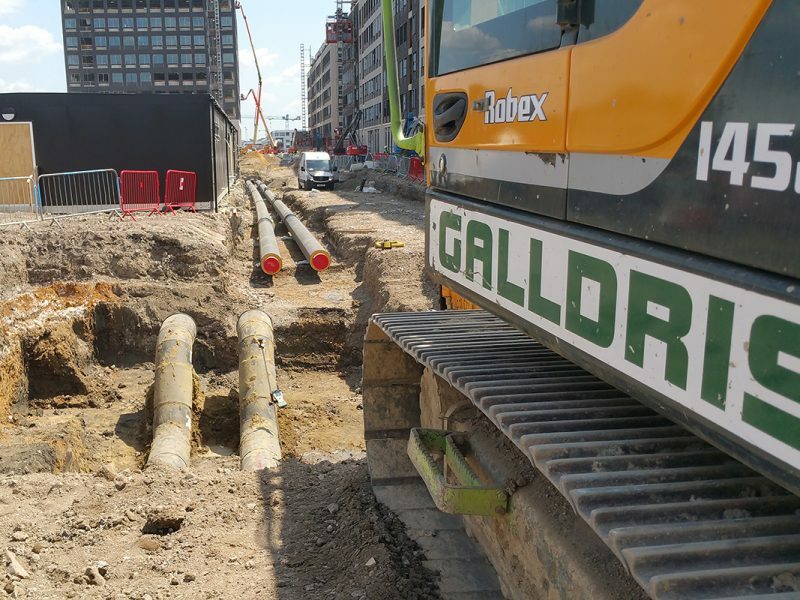 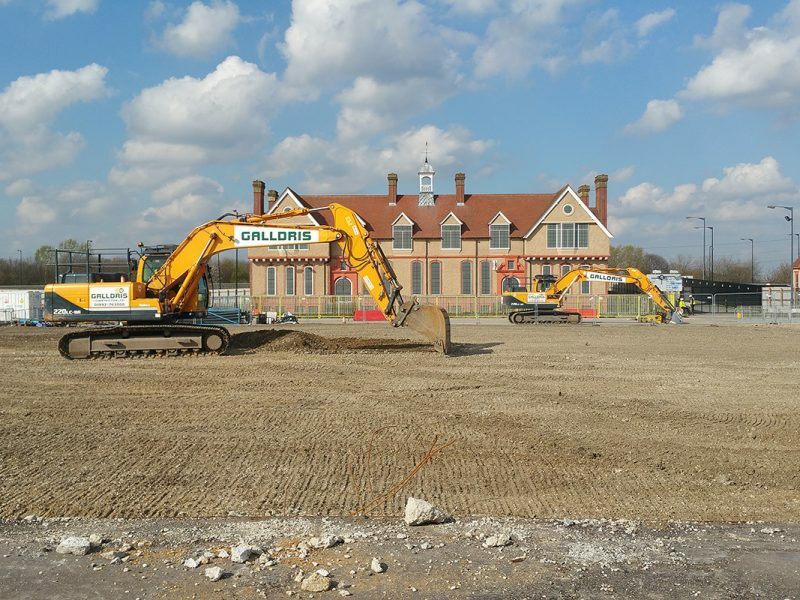 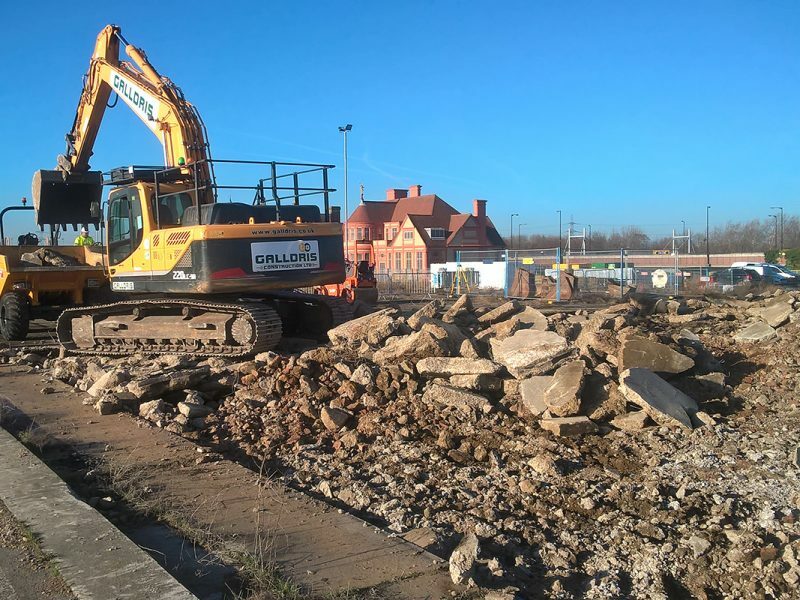 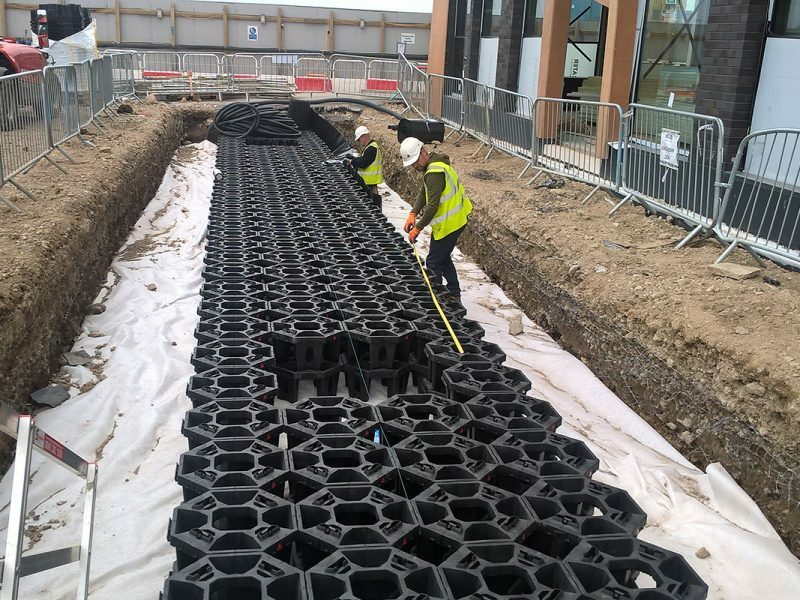 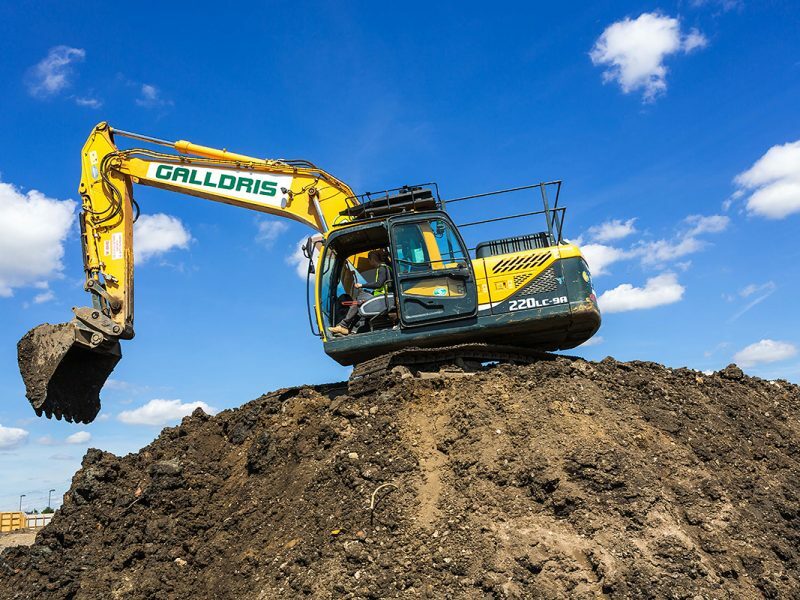 Galldris delivered Earthworks, remediation, and disposal of 50,000m3 of spoil, infrastructure, utilities and hard landscaping. 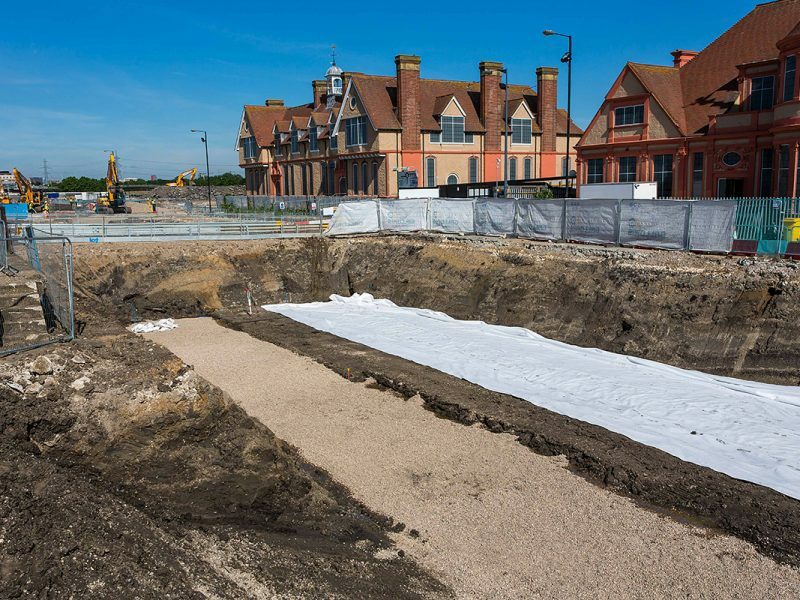 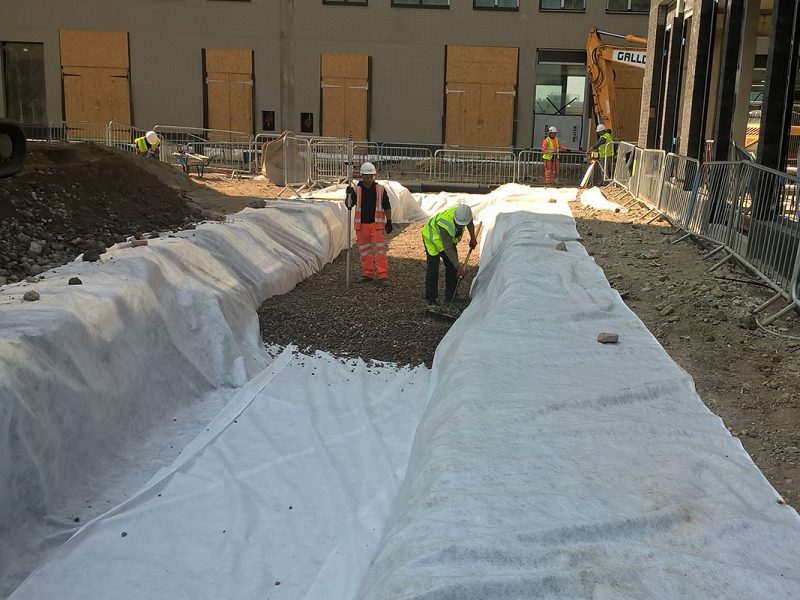 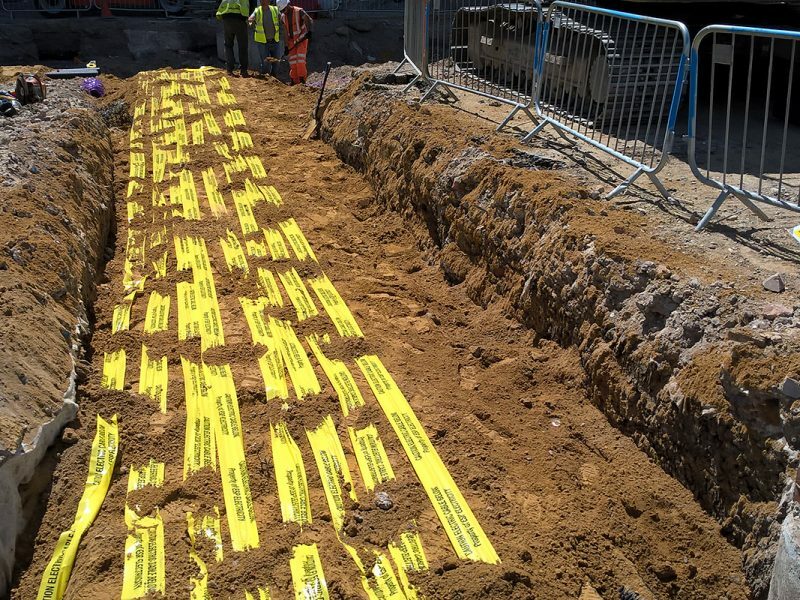 Being built on what was a former dock, the history of the site was uncovered. 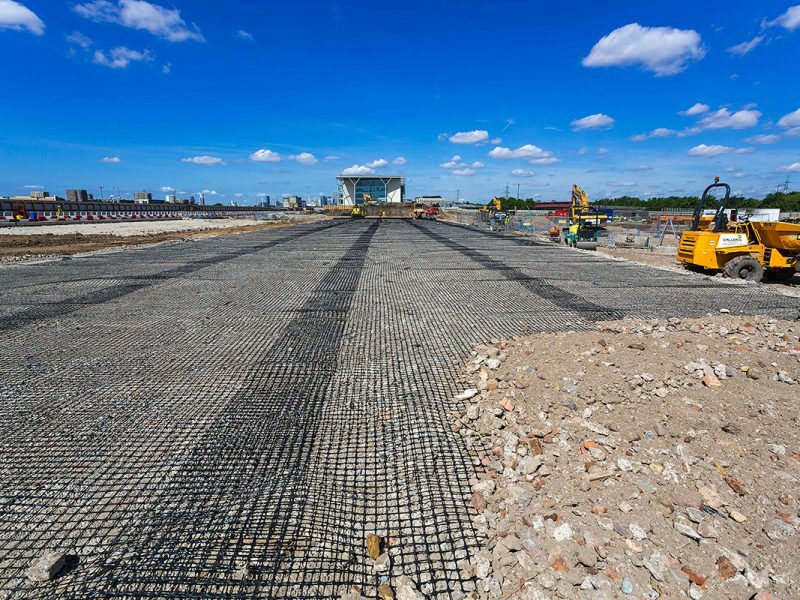 Formerly a marsh area of the Thames, the site was developed over a period of 200 years so some challenging ground conditions were encountered. 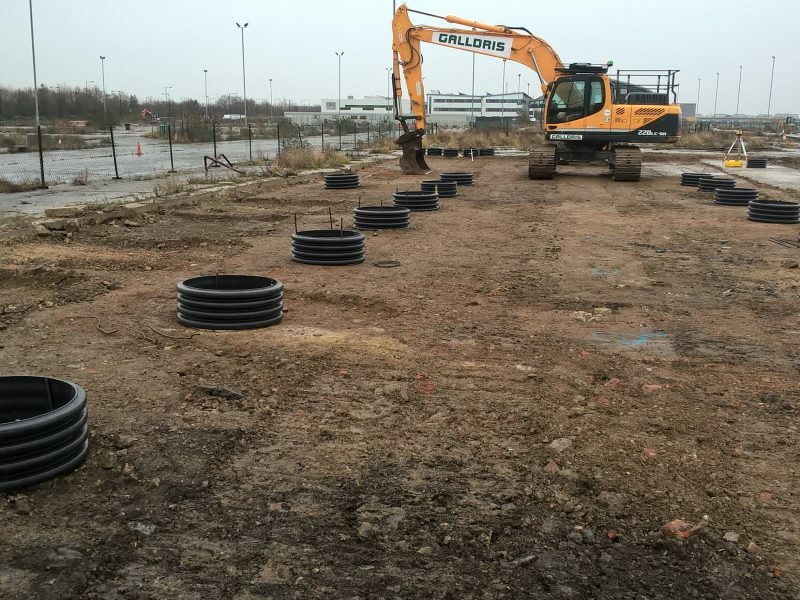 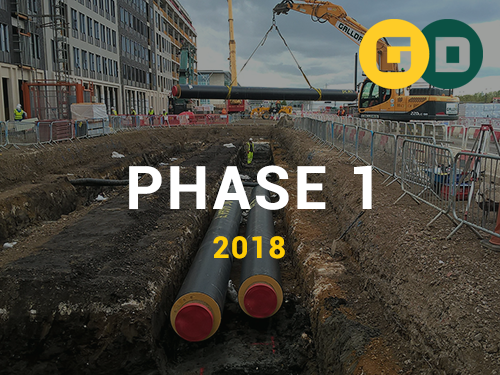 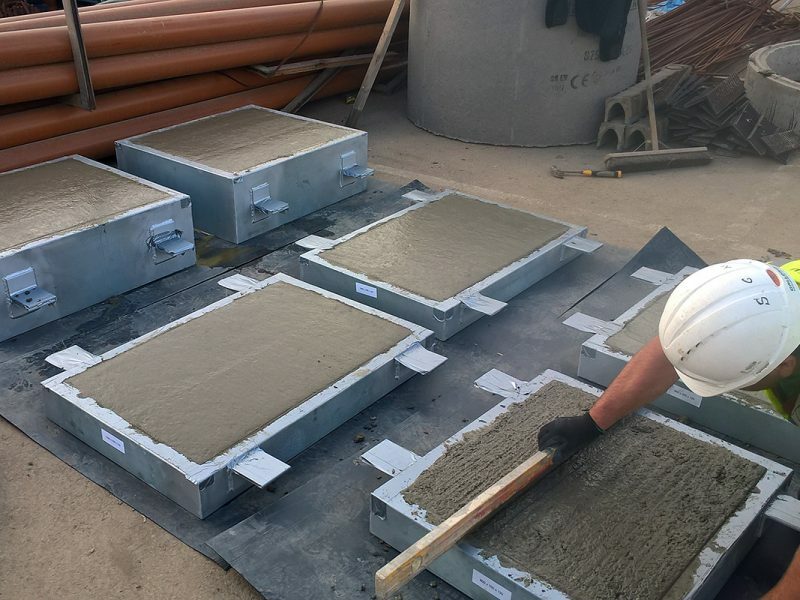 Phase 1 involves the construction of plot 5A, 5B, 8A, 8B and 9A, including all the associated public realm areas, roads and infrastructure, along with the refurbishment of two listed buildings on plots 10A and 10B. 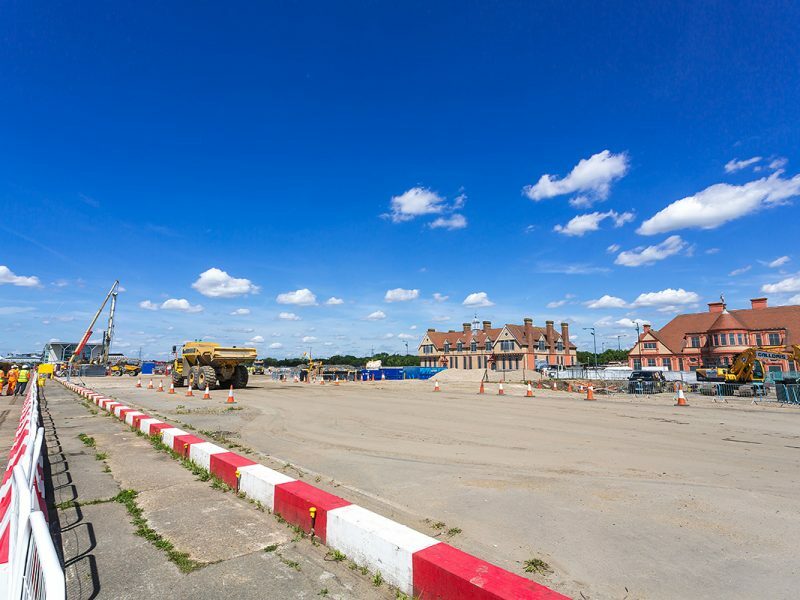 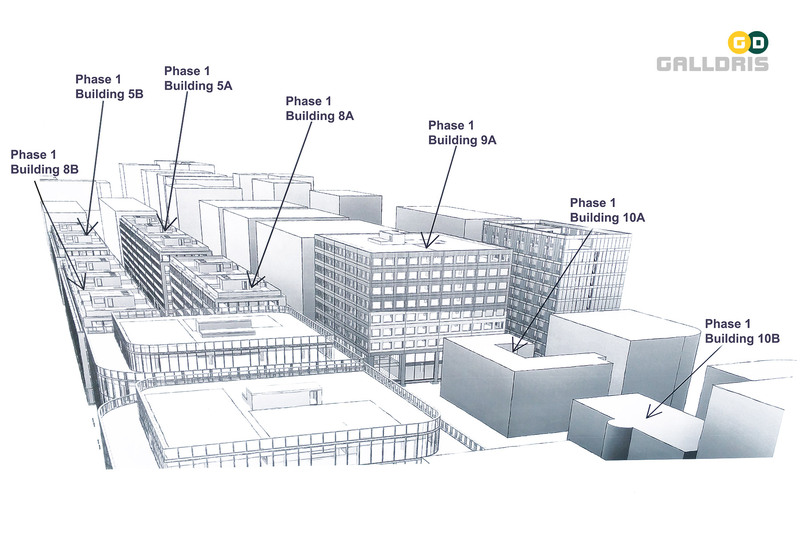 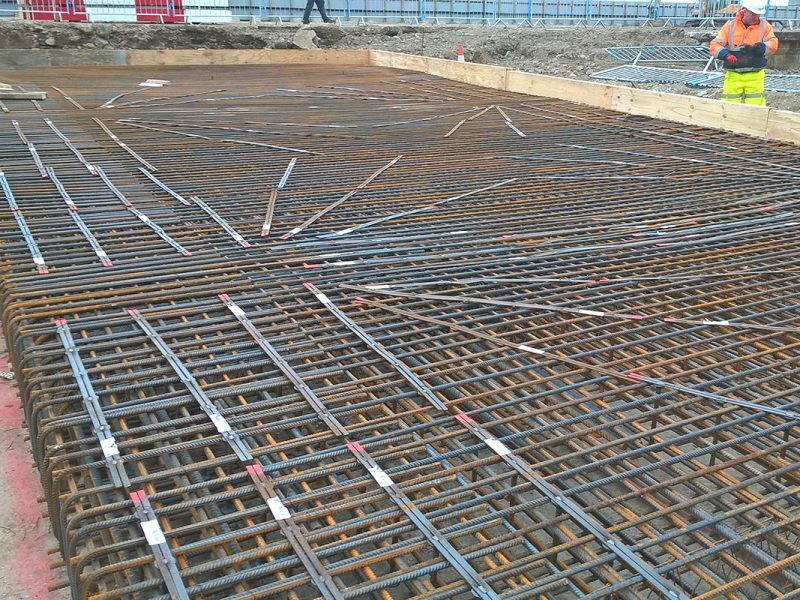 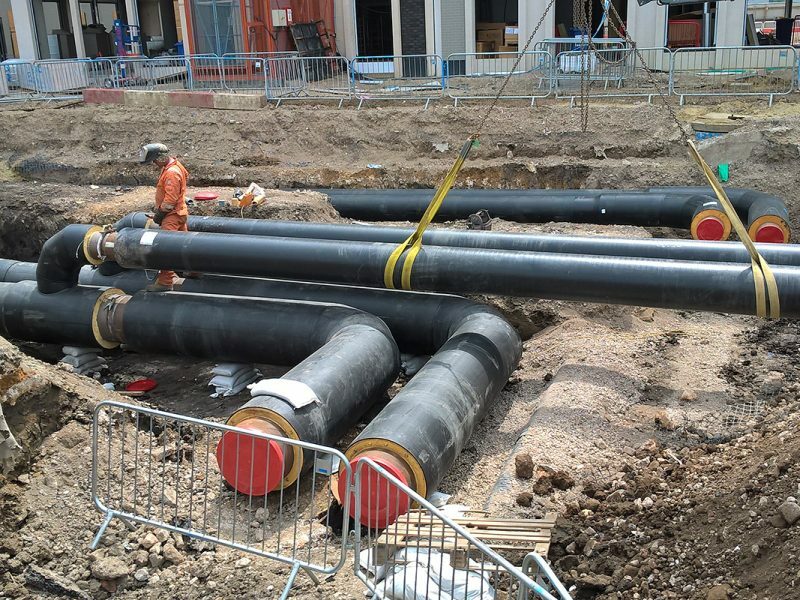 The works will also include the construction of a temporary energy centre and temporary works on Bidder Square. 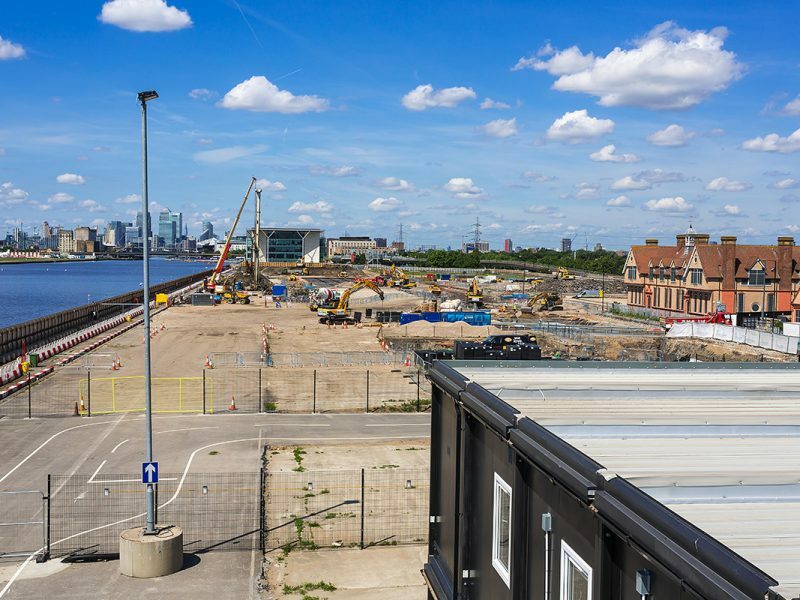 Located in E16 directly opposite London City Airport and between the University of East London and Newham Council’s Dockside building, the development will comprise of a new business district along with shops, cafes and apartments as well as opening up the dockside promenade. 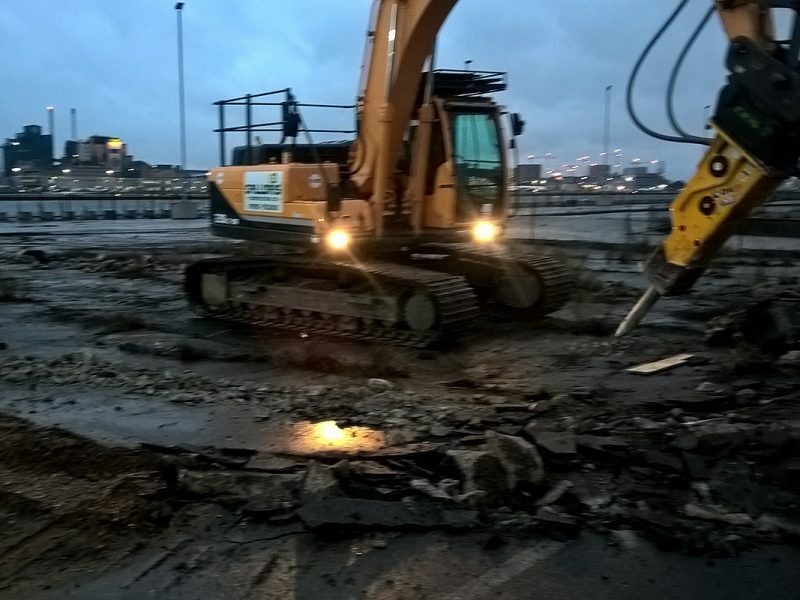 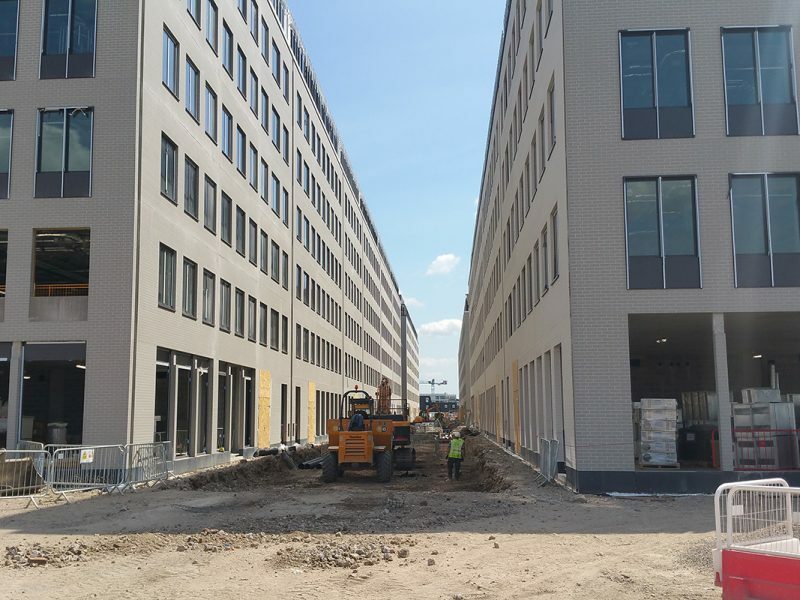 By the time the whole project is finished in 2026, the old Central Buffet and Dockmaster’s Office will be restored to their former glory and new public squares will be created, and thousands of people will work in the new office buildings and live in the new apartments. 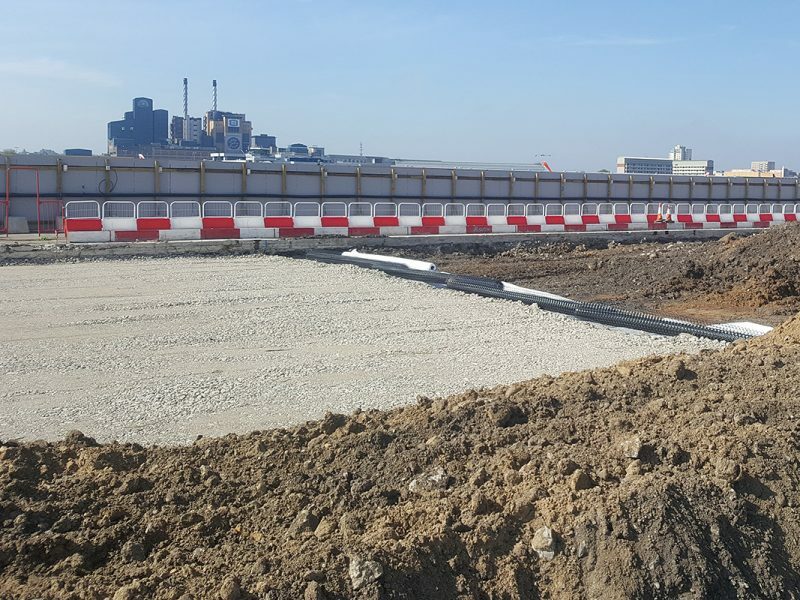 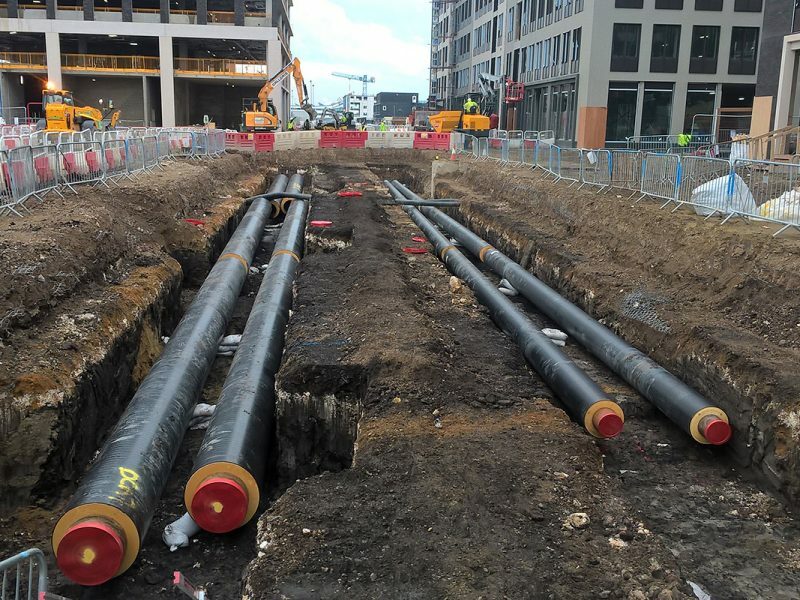 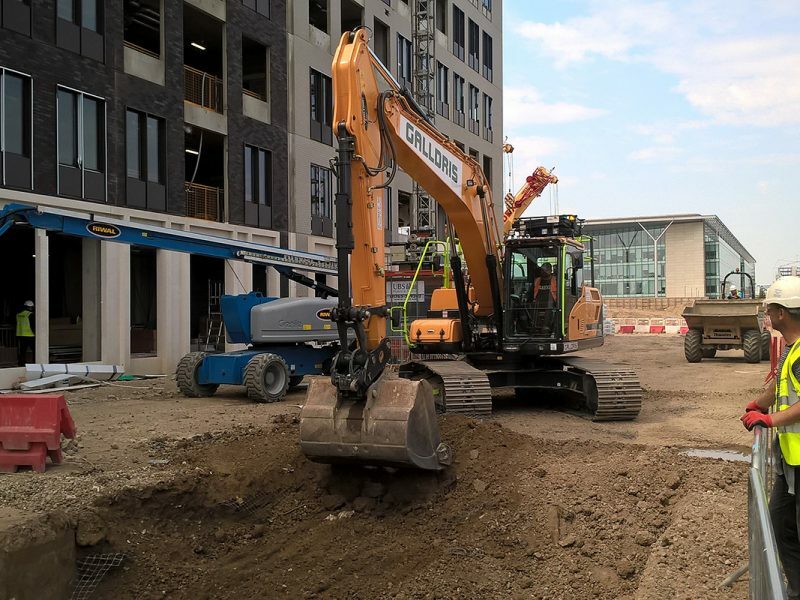 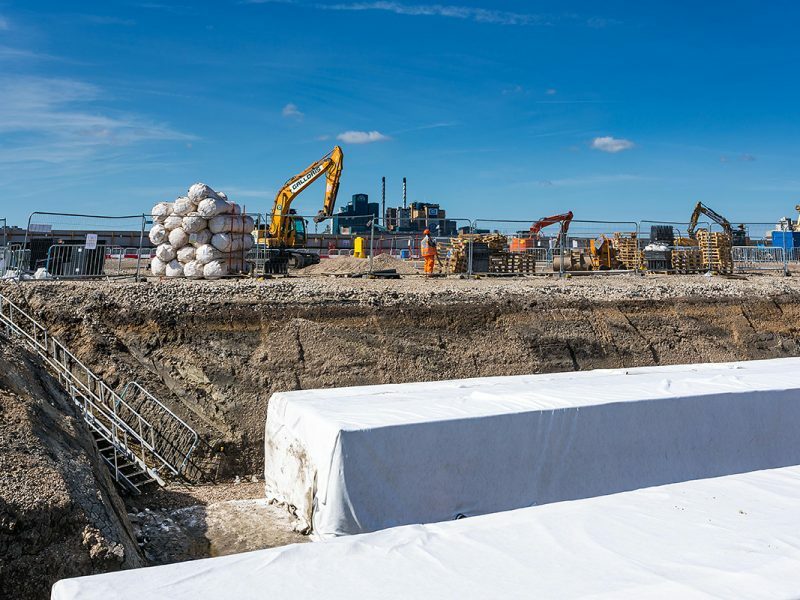 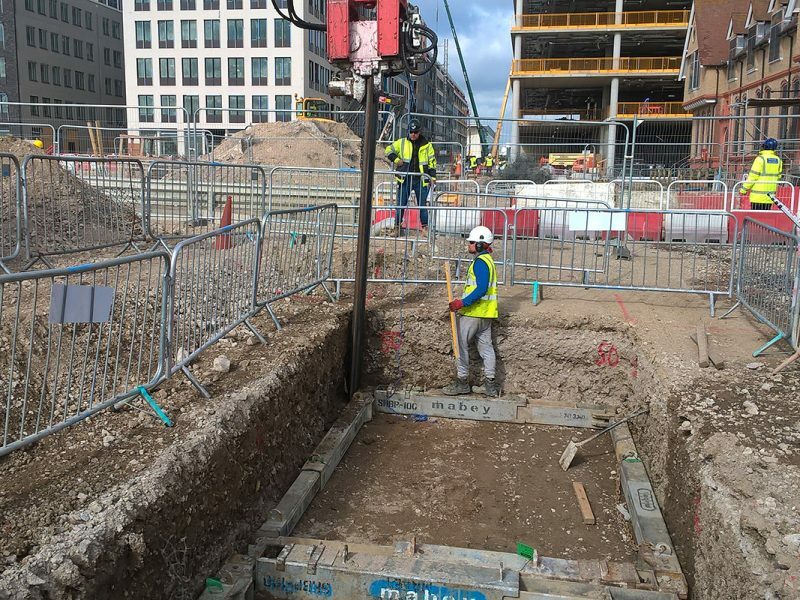 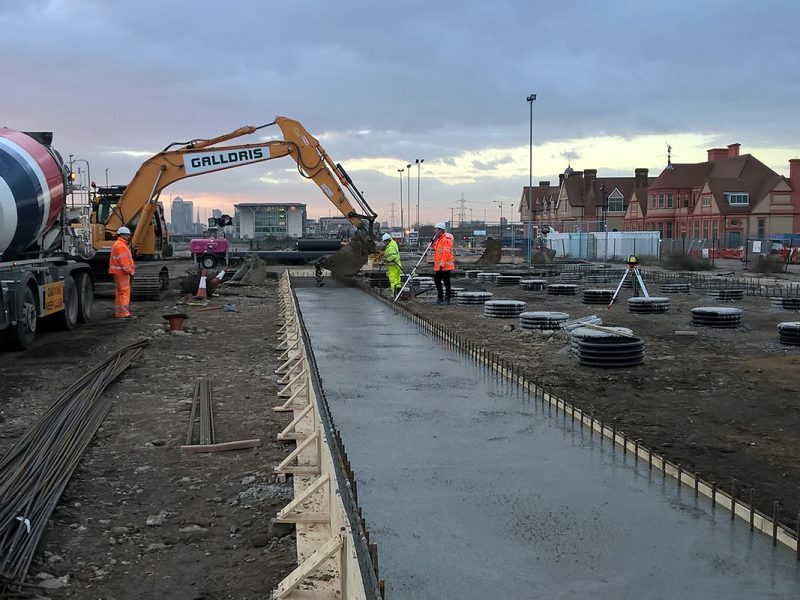 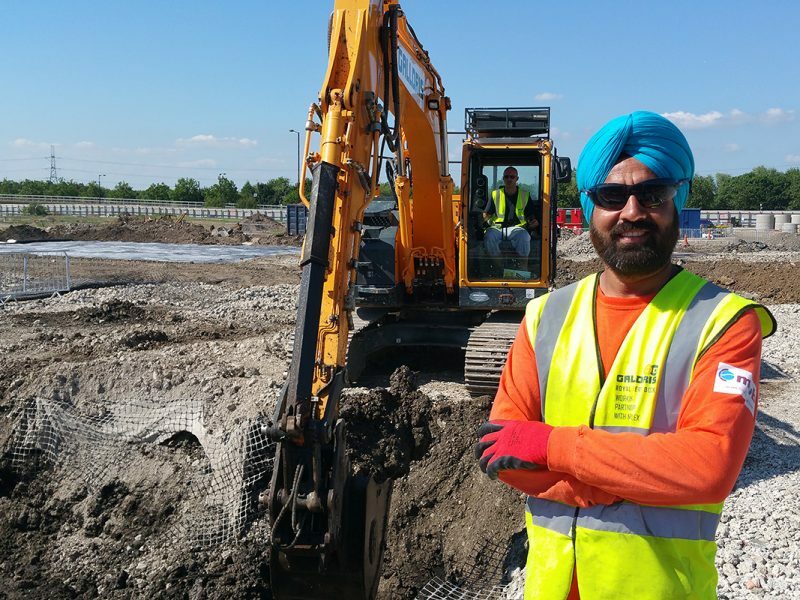 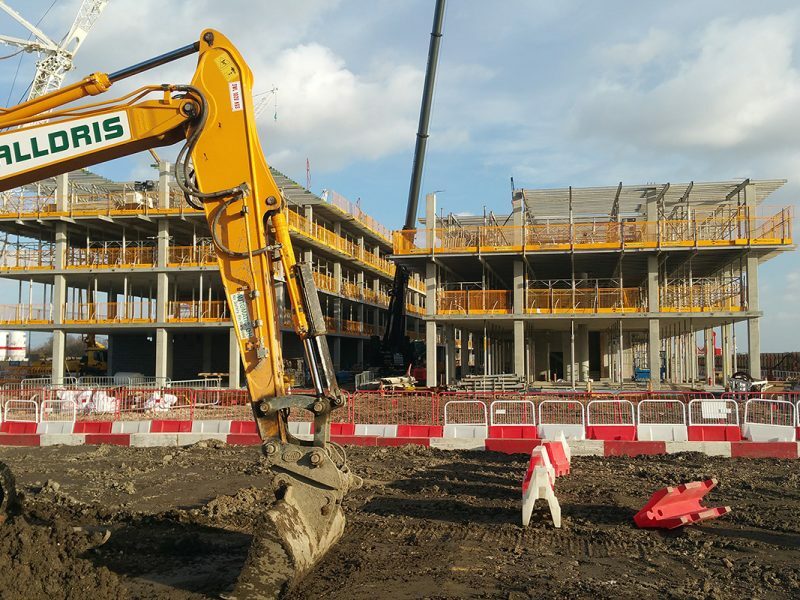 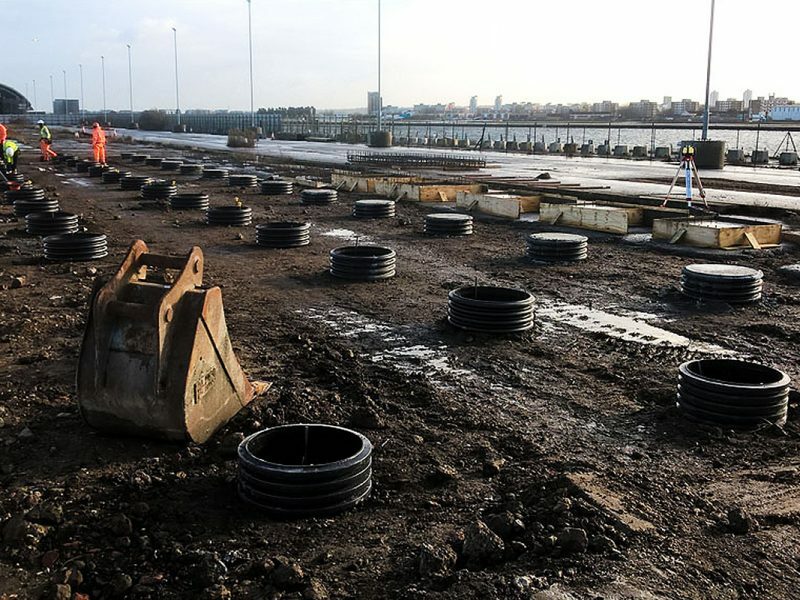 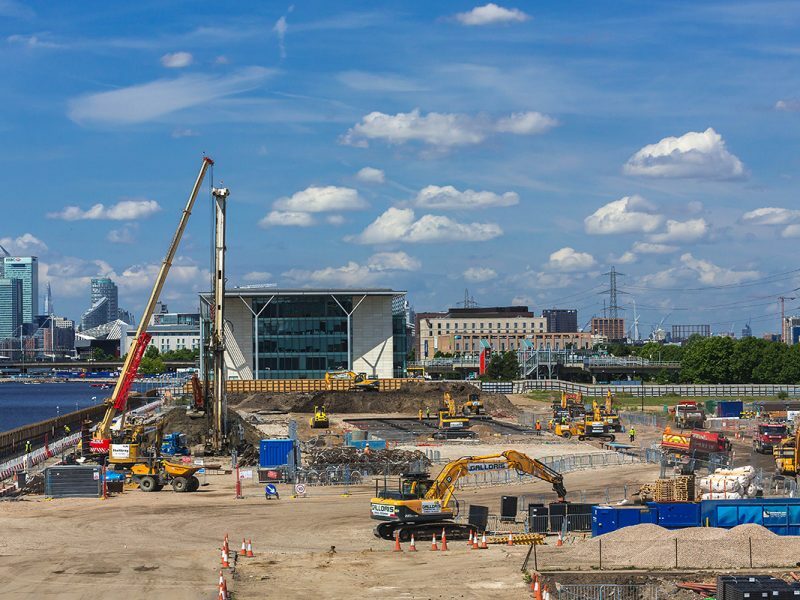 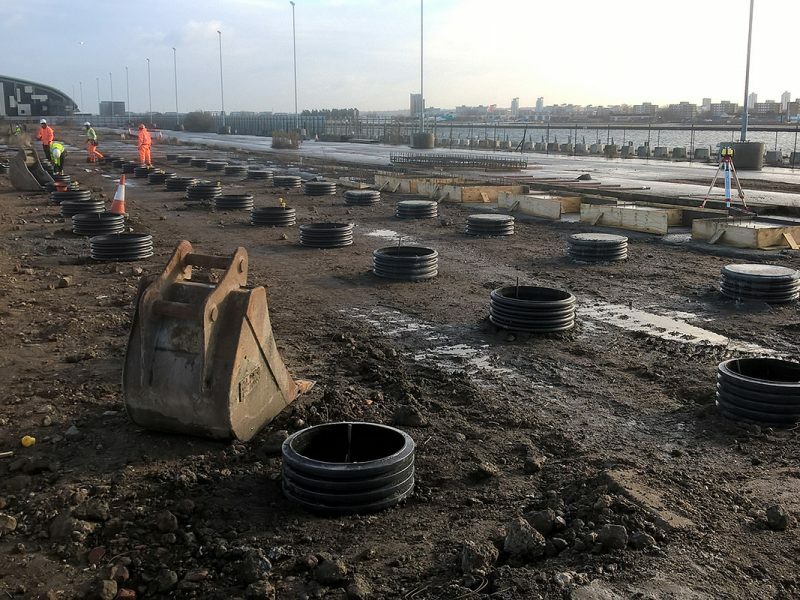 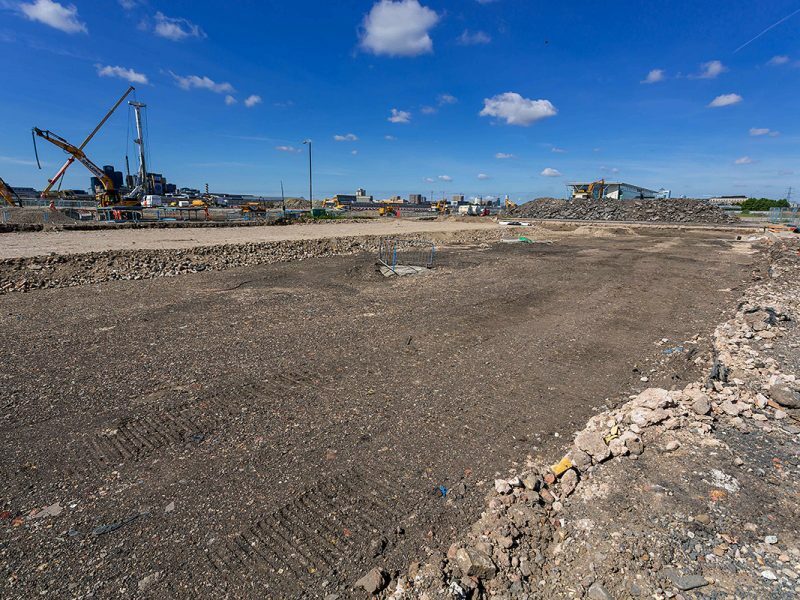 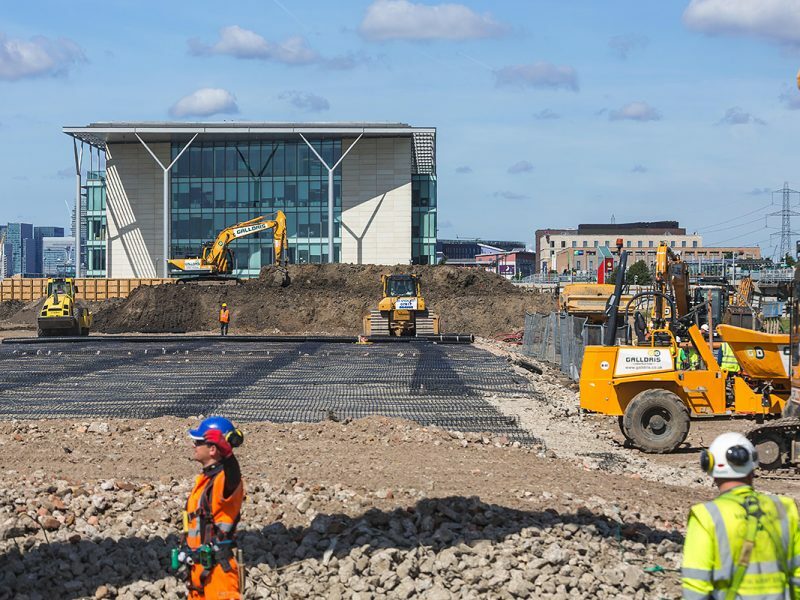 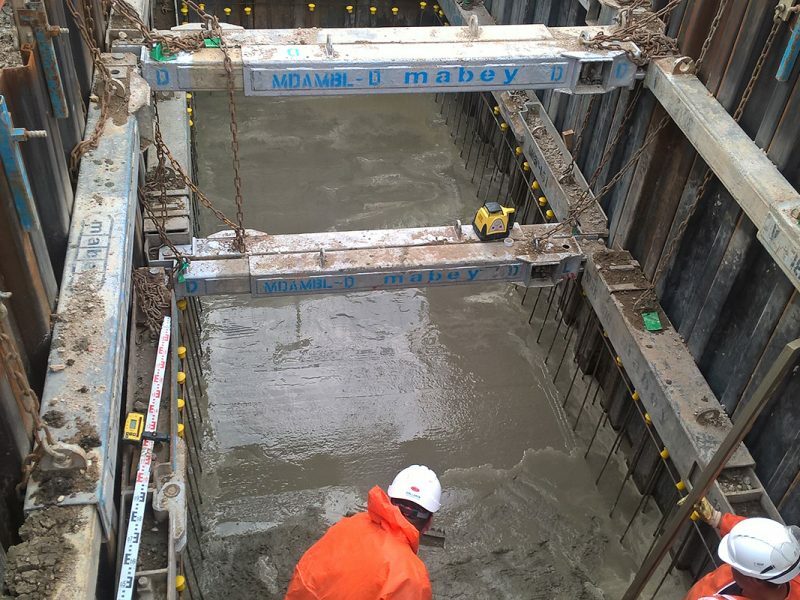 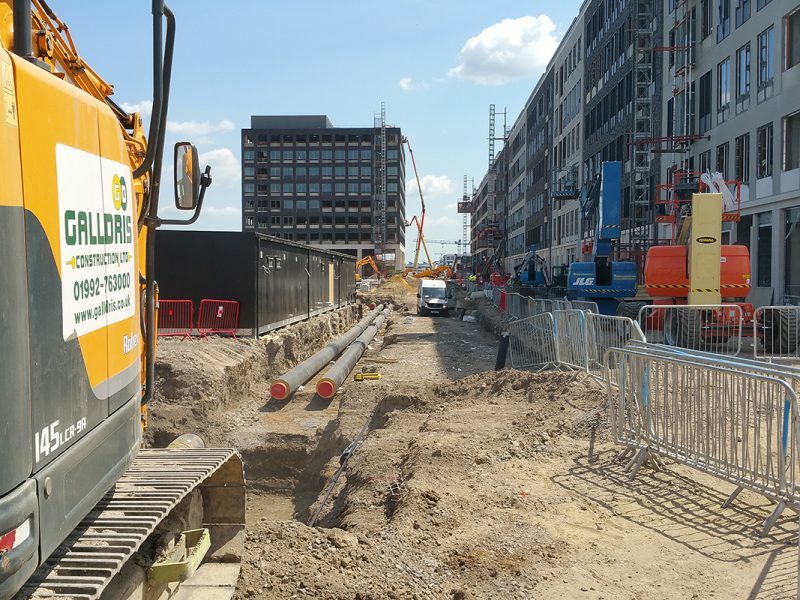 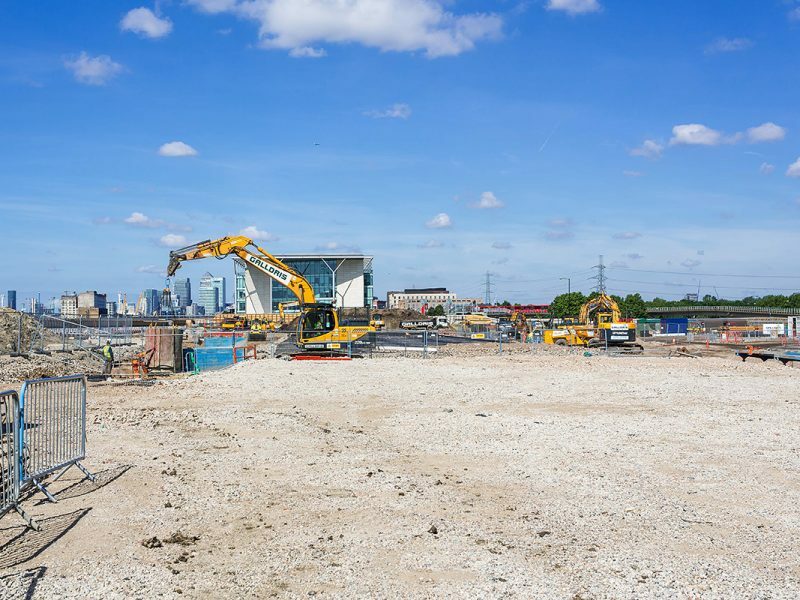 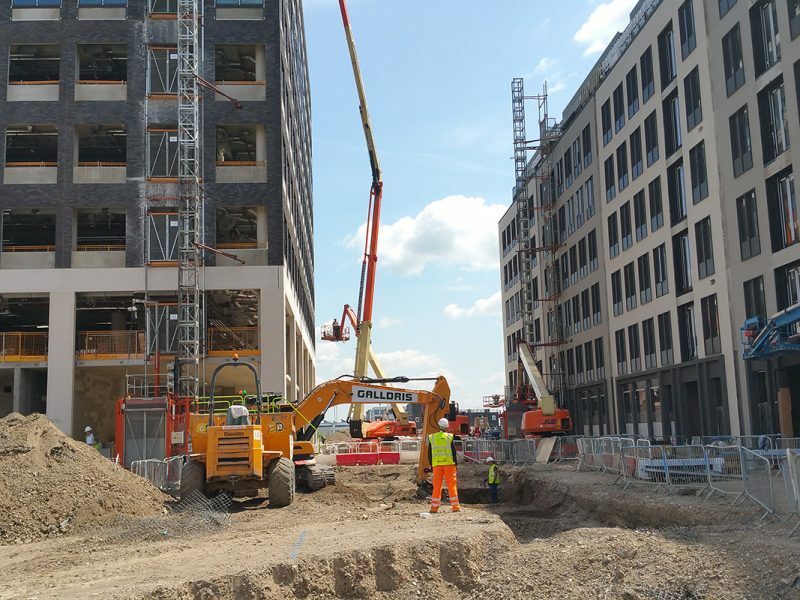 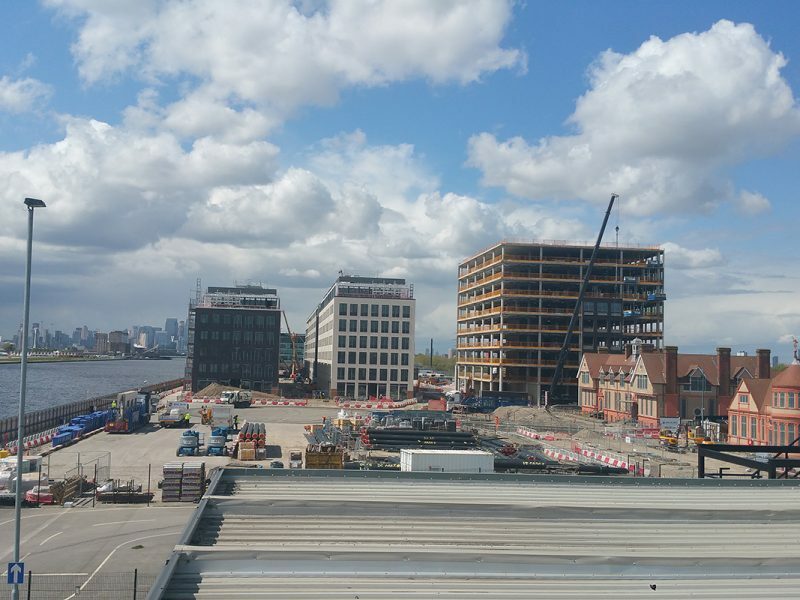 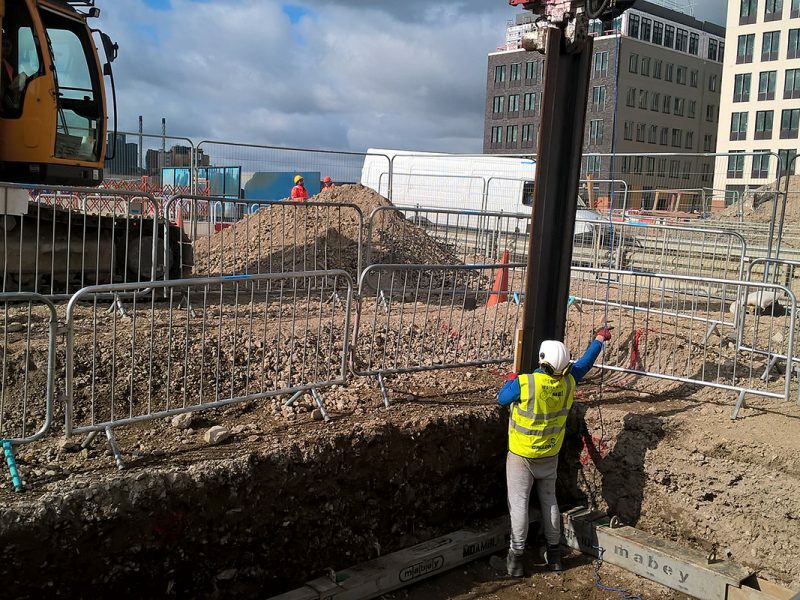 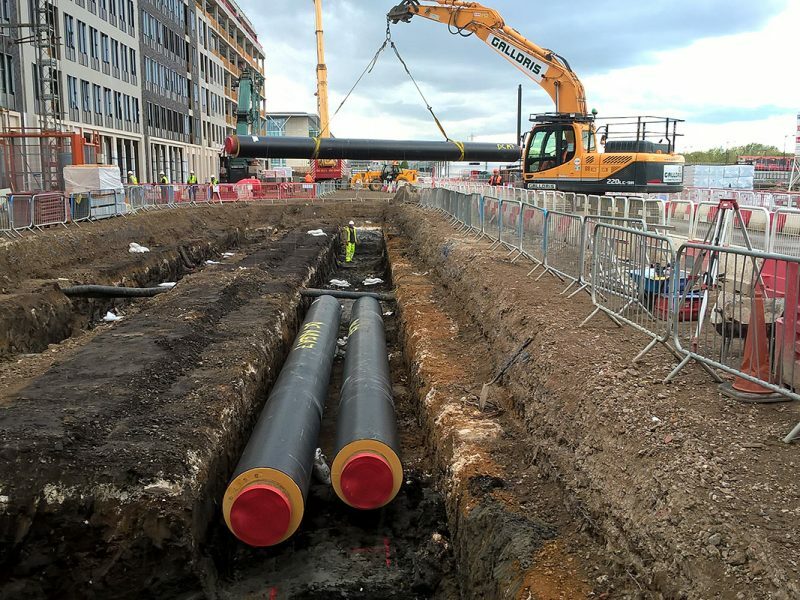 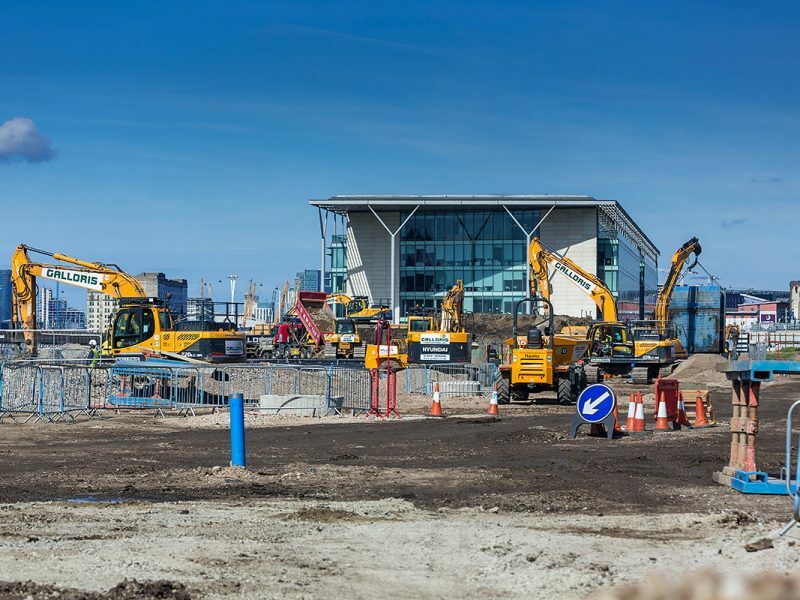 Job opportunities for local people are coming on stream through the construction works across the lifetime of the project and Newham residents are expected to fill many of the jobs at ABP Royal Albert Dock when the new district is finished.